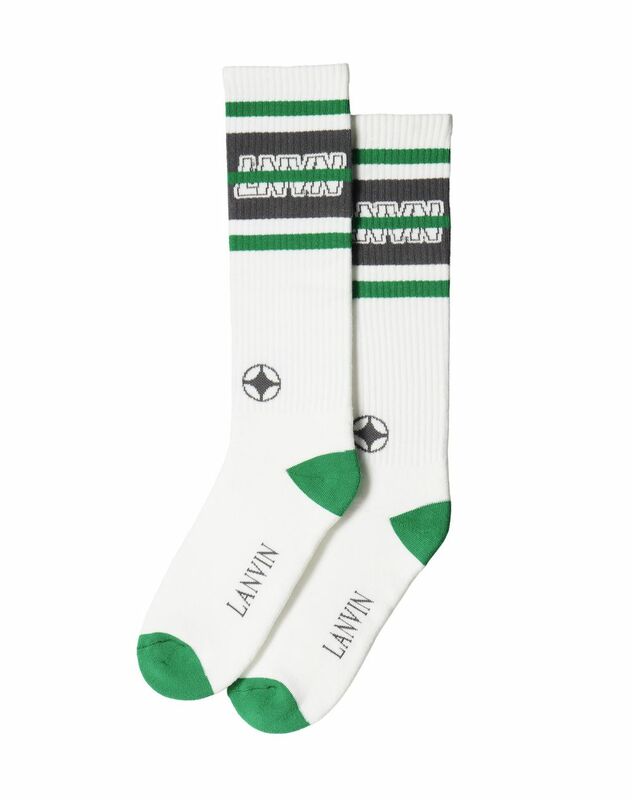 High white socks in cotton knit with jacquard band details and reinterpreted “Lnvn” logo. A new arrival to the collection, this season Lanvin’s high cotton-knit socks come in a brand new color palette. Embellished with exclusive jacquard “Lnvn” motif finishes and graphic bands, they will add a sportswear touch to your outfits.